This is the first of a three-part blog series about the racialization and othering of Roma people against a white norm in standard Gypsy and Romani studies. This first segment explores the contribution of Gypsy studies to the perception of the Roma as inferior to his or her white, European counterpart. The second blog shows how the legacy of such thinking manifests itself in modern Romani scholarship. Finally, the third blog suggests more participatory and self-reflective ways forward in the field of Romani studies. Romani studies has established itself as a secluded field of intellectual inquiry in the academic world. Anthropologists, historians, sociologists, linguists and students have all focused on the Roma, and on European Roma in particular, even though Romani literature has remained invisible in broader social and political theory, culture and race studies. And while more and more scholars are studying Romani realities, there are few who, in Bourdieu’s words, call into question the “intellectual world” which has perpetuated presumptuous, racialized or biased modes of thought about Roma. Nevertheless, an emerging, more critical variety of Romani studies has slowly begun to question the standard brand of Romani discourse, built, as it happens, on a foundation of difference, inferiority and subordination. From the first, Gypsy studies or Gypsyology—that is, the formal, early academic study of Romani people—helped build the concept, vocabulary and imagery of polarity between white Europeans and Roma. Gypsyologists evidently did not view Roma (and some other groups considered “inferior” in different periods of history) as falling under the Eurocentric umbrella of the European citizen, understood to be Christian and white. One early Gypsyologist categorized Roma as “a distinct race, without religion and, perhaps, without morals also, who have for centuries lived among superior nations.” Other scholars discussed the “civilized” and “superior” nations of Europe in opposition to the “gypsy” or “peculiar” race, establishing hierarchy, tension and opposition between the two. Categorizing Roma as an inferior, subordinate race fixed white cultural norms as the standard against which Roma were described. This discourse further helped shape a Euro-specific form of whiteness or what we could call gadjo-ness, itself built in opposition to Roma. Grellman (1783) also characterized Roma as a “race of idlers, cheats, and thieves.” The devaluation of Roma skin complexion, clothing, and customs as well as their misrepresentation as a dangerous race helped build up a low-ranking “Gypsy” identity. And the more Roma were problematized and presented as inferior and dangerous, the more evidently gadjo-ness gained symbolic and material value and powers. Similar tactics were applied elsewhere as well, including in the United States—as for example, against Native Americans and Black Americans—from the colonial period forward. Over time, whiteness began to gain increasing value, becoming an asset or a “property” in Europe and the US. To this day, those able and willing to pass as white and who choose to do so, including Roma, can more easily experience the material and symbolic value of whiteness. Yet, although whiteness has become a more and more serious topic in US scholarship, we have yet to consider conceptualizing whiteness/gadjo-ness and white/gadje privilege in Romani studies. To a large extent, white European scholars enhanced or reinforced doxa (common beliefs) to “civilize,” “change the habits,” and later, to “integrate” Roma into the wider society. For example, De Peyster’s assertion that the beliefs he expressed could be taken for granted: “it is only too well-known.” Moreover, those studying the so-called Gypsies were also influenced by what they found in official chronicles and records, sometimes their sole sources of documentation. Already by 1886, David MacRitchie had noted that in spite of a large number of books having been written on the “Gypsies,” most reproduced and echoed the same imagery and vocabulary, mostly dehumanizing. Nevertheless, we can notice a few important, encouraging shifts in the writings of Ritchie and other scholars in the Gypsy Lore Society Journal, which emerged in 1888. Some, including Leland, began to use, although sporadically, the terms Romani, Romany people, Romany music, Romany language—a clear sign of actual interaction with Romani people. Pincherle and a few others even underscored the fact that they learned about the Roma from the Roma, and not from common beliefs or earlier writings. The Gypsy Lore Society also documents communication between scholars that showed more nuanced, self-reflexive thinking about the Roma. In one example, Pincherle describes an episode in which he had tried to interview a group of drunken Roma, and had feared that he might become “a monetary or physical victim” to his own Gypsyologism—that is, to his study of Romani people. But then he challenges this thinking, calling his own framing of this situation a “linguistic negative campaign” and acknowledging the likelihood that the people in question would have behaved differently if he had not been drunk. Yet despite the beginnings of more textured thinking in the literature, the focus on the Roma’s otherness—skin complexion, clothing and customs—persisted in Gypsy Lore and elsewhere, as did the idea of Romani “moral degeneration” and lawlessness. The insistently negative reading of the Roma’s habits, morality and attitude toward the law further normalized the construction of whiteness. The work of early scholars served to reproduce the widespread racism and negative imagery circulating in the public that demonized Romani people and nurtured their exclusion. Gypsy scholarship not only contributed to racializing and dehumanizing Romani identities, it also reinforced the hierarchy, established through the means of policy and law, between white Europeans and Roma, and further solidified the social and political construction of whiteness/gadjo-ness, its hidden powers and value. Michael Steward, Roma and Gypsy “Ethnicity”As A Subject of Anthropological Inquiry, Annual Review of Anthropology, vol. 42, 2013. The New Review, Political, Philosophical, and Literary, vol. 2, 1863. John Hoyland, A Historical Survey of the Customs, Habits, and Present State of the Gypsies, 1816. John Watts De Peyster, Gypsies: Some Curious Investigations, Collected, Translated, Or Reprinted from Various Sources, Concerning this Peculiar Race, 1885. “Whiteness” does not equal white people. It involves discursive, institutional and relational racial ideologies that lay down social, economic, cultural and institutional privileges and powers not only for those identified as white and pass as white, but also for those who are “promoted” from positions of inferiority to whiteness, such as those accepted as white owing to certain skills or talents validated by those who hold power. 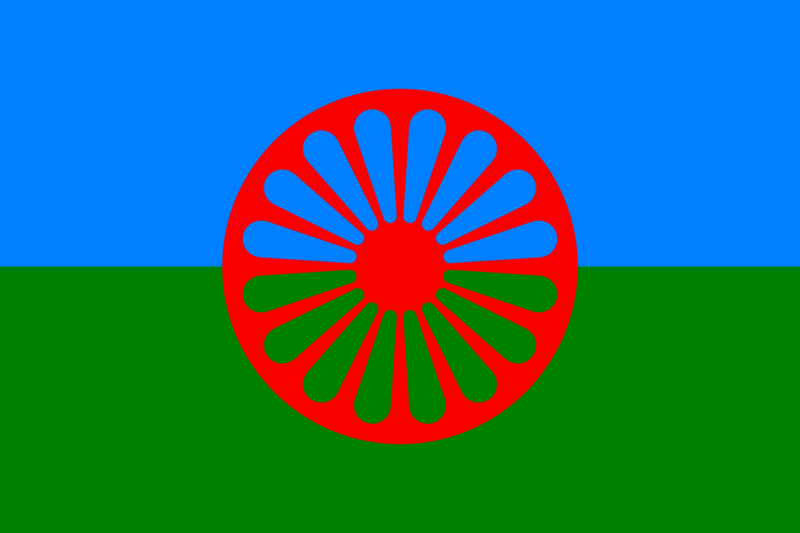 Gadje is the generic term used by Romani people to refer to non-Roma. Gadjo-ness is used here to underline a Euro-specific form of whiteness that grants social, economic, cultural and institutional privileges and entitlements to non-Roma, or more precisely, to dominant majority groups. Spellman, cited in George Smith, Gypsy Life: Being an Account of Our Gypsies and Their Children. With Suggestions for Their Improvement, 1880. Grellman, cited in Hoyland, 1816. See Du Bois or Crenshaw, Harris and other critical race theorists. David MacRitchie, Accounts of the Gypsies of India, 1886. Charles Leland in Gypsy Lore Society Journal, vol I, no. 1, July 1888. J. Pincherle, in Gypsy Lore Society Journal, vol I, no. 3, January 1889. It is worth noting, incidentally, that in spite of our contemporary critique of its approaches, including the continuous use of derogatory Gypsy terminology, in its early days the Gypsy Lore Journal assembled a significant amount of information about Roma from all parts of the world, including a priceless collection of old Romani songs, poetry, and tales. Elyseeff, in Gypsy Lore Society Journal, vol. I, no. 5, July,1889. Ken Lee, “Orientalism and Gypsylorism,” Social Analysis: The International Journal of Social and Cultural Practice, Vol. 44, No. 2, November 2000. This blog was originally published at The Huffington Post. Revised June 13, 2017 to use the term gadjo-ness, rather than gadje-ness to reflect Romani language more accurately.